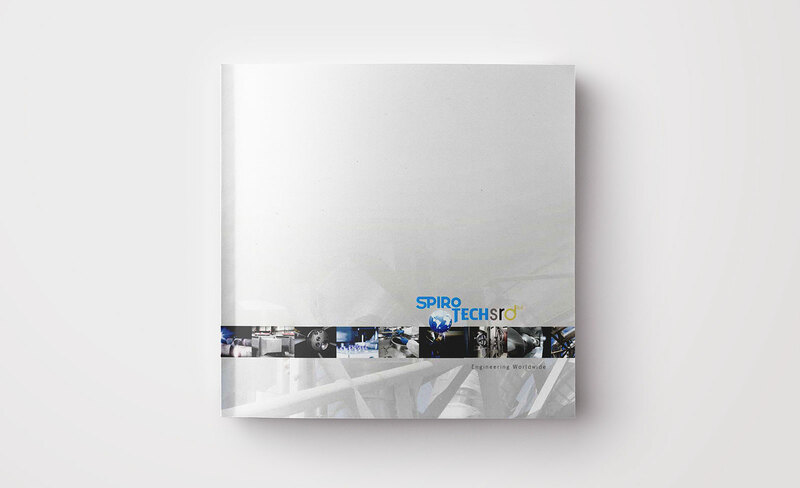 UK-based Spirotech-SRD Ltd are global leaders in the design, manufacture and delivery of screw conveyors, industrial vessels, elevators, feeders, dischargers and de-watering systems for the most demanding commercial environments worldwide. 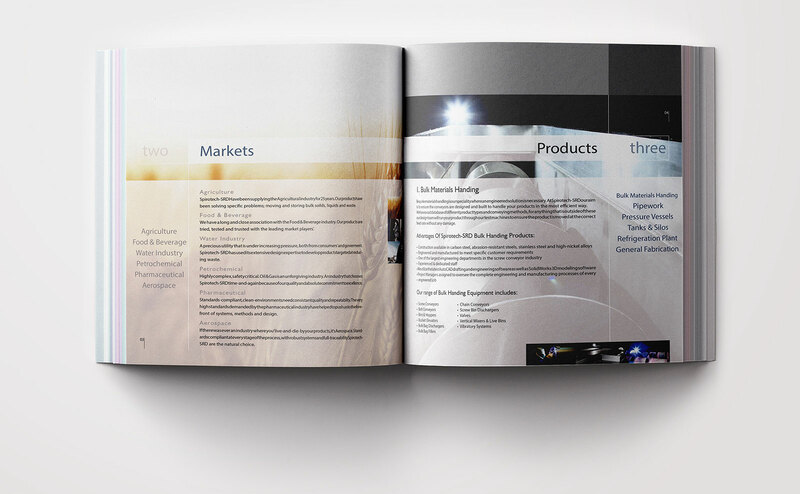 Their ‘rapid build’ program ensures that critical deadlines are met whichever type of market they supply. 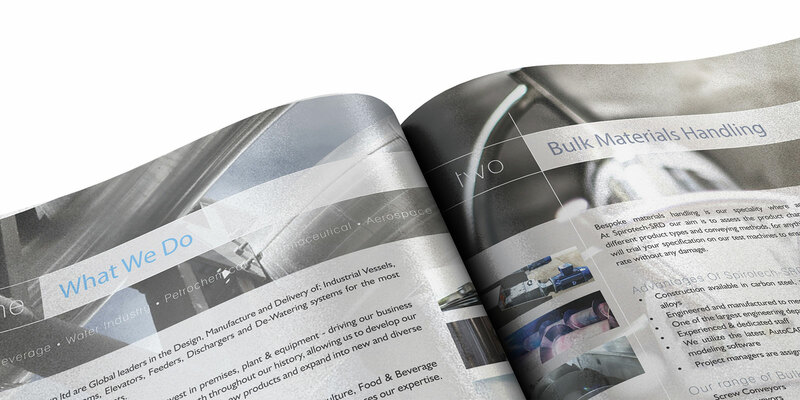 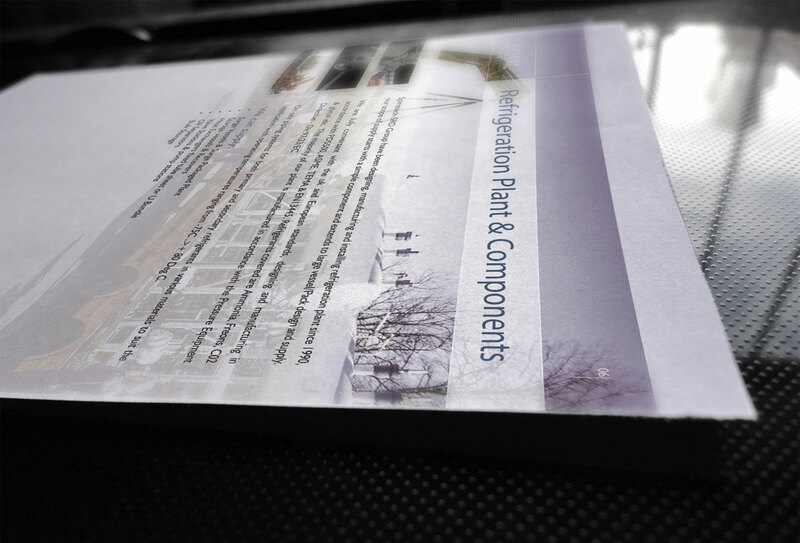 Black Ink was responsible for the design and layout of their company brochure.